Mini sticks, also known as Knee hockey, is a ton of fun for kids, especially boys. The nets are made from a strong PVC. It comes with 2 sticks and 2 nets, so they will be able to play with friends or family right away. 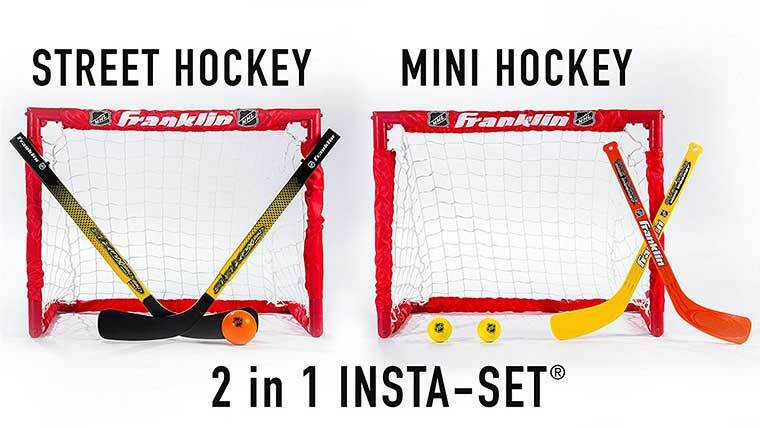 This Franklin NHL indoor mini hockey set is a home run gift. If you need a gift for older kids, mini sticks are a cool idea. I remember playing with these when I had my friends over as a kid and having tons of fun. The hockey sticks are adjustable size, so they fit kids of all ages really. They will have the option to play on their feet or knees. 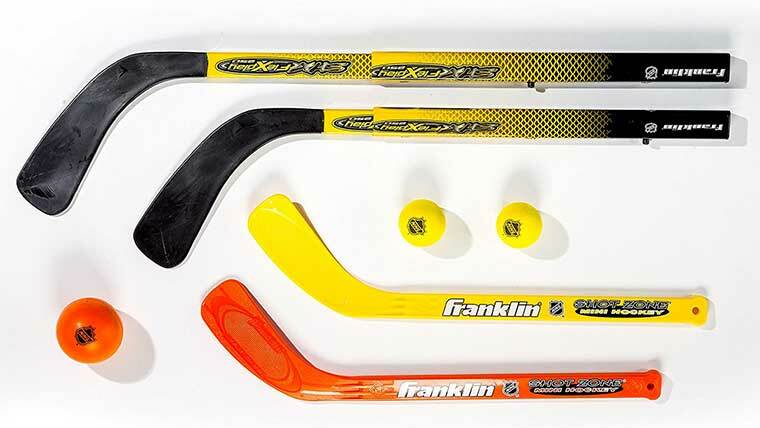 Hit the image of the Franklin NHL indoor hockey set to get more information.